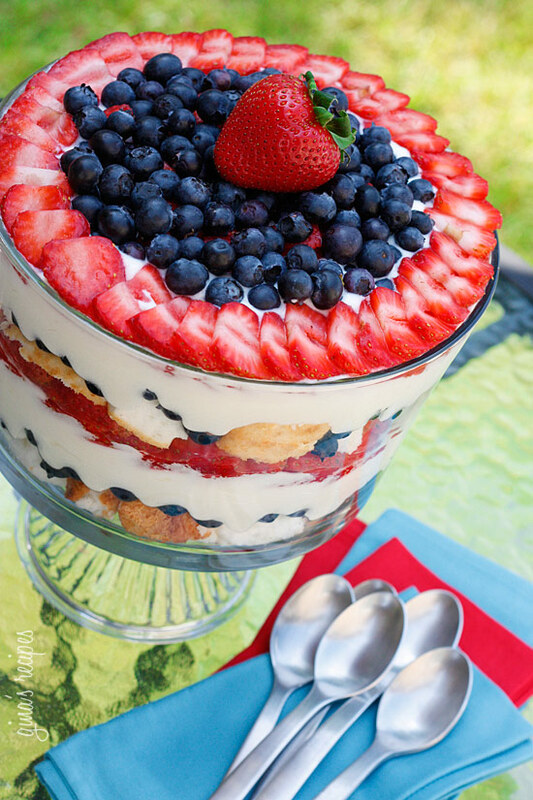 I have a little crush on red, white, and blue food. You know, the 4th of July celebration kind. Blue food is not really my thing. But blueberries - that's entirely different. I could eat blueberries all day. Along with strawberries and raspberries. And who wouldn't be proud to bring one of these to a July 4 celebration? and only one of them likes strawberries. So in the spirit of bringing food that someone will actually eat - so I don't eat the whole thing myself - I brought these for July 4. They may now be my favorite food with blue in it that isn't blueberries. Everyone loved this red, white, and blue food. And actually, so did I. If you want to make any of these red, white, and blue foods you can click on the picture. 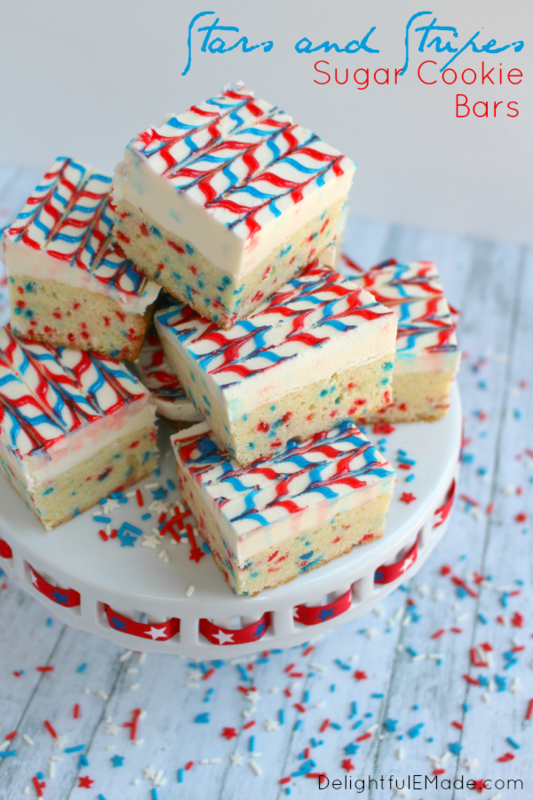 I'm just going to be spending this day after July 4 watching old movies and eating left-over Sugar Cookie Bars. They are worth checking out. And if you aren't using them for July 5 you don't even have to put colors on them! I hope you had a fun holiday with the family! Yum Karen. 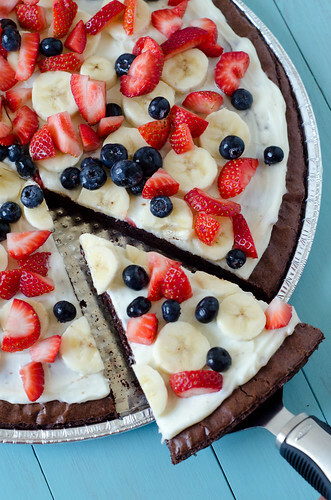 All these beautiful red, white and blue foods looks so yummy. Glad you had a great 4th. Have a great new week ahead. These were awesome and I will be making them so often!!!! Cool! I like the way it looks and I am sure they taste delicious too. I should try them too.